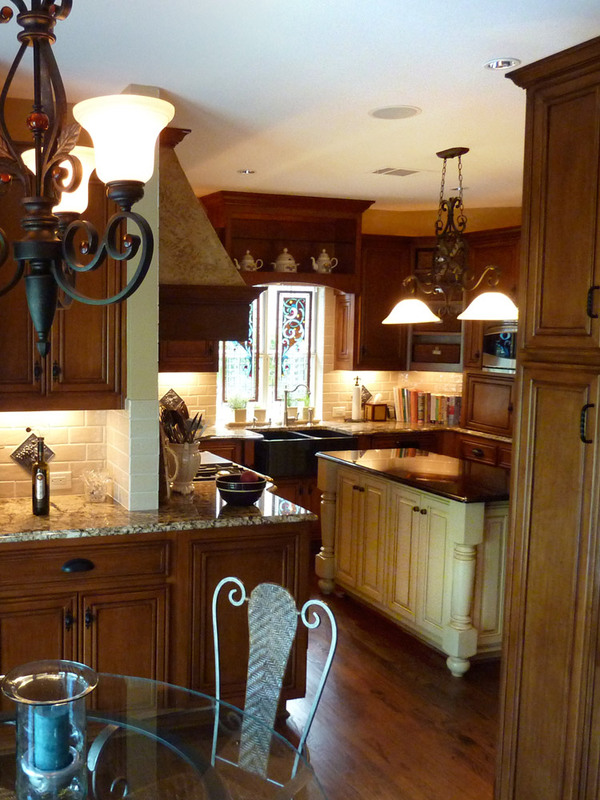 A two minute tour of this Prestonwood Country Club home was all we needed to understand the homeowner’s taste: Country French! From the range and vent hood to the copper screen door on the pantry, every element of this kitchen says, “I’ve been to France. It’s really pretty. 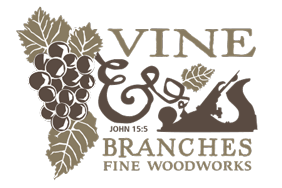 I wish my kitchen looked like one over there.” Vine & Branches made this wish come true. 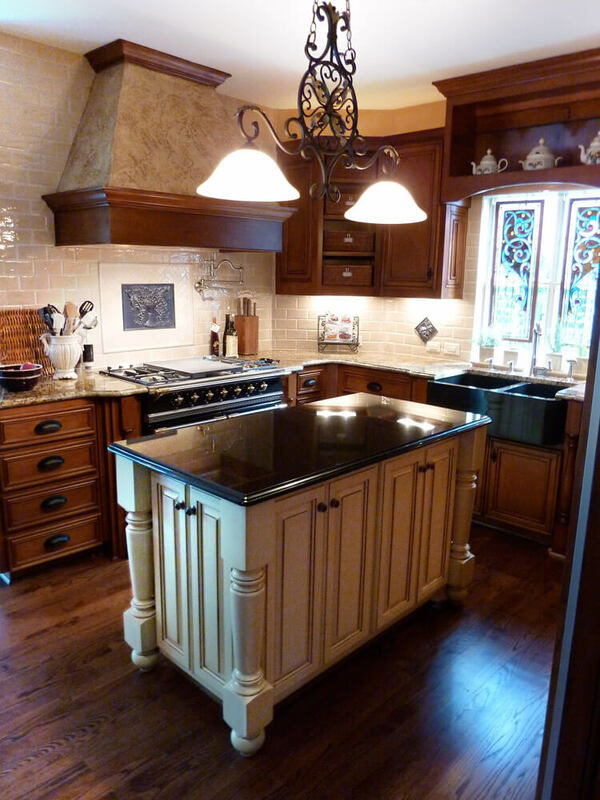 This is a custom-designed maple kitchen uses mitered raised-panel doors for every opening. (Notice the custom panels for the refrigerator and dishwasher, and retractable pocket doors for the coffee bar area.) The homeowner also wanted some simple baskets integrated into her Country French theme. So, were the cabinets made to fit the baskets? Yes! The homeowner actually found these baskets which HAD to be a functional part of the design…and we made it so. From the rich, warm finishes of the maple, to the painted and glazed kitchen island with its polished granite tops, the homeowners are reminded every morning of a wonderful provincial setting. Copyright © 2015-2018 Mono-Parts Technology LLC, All Rights Reserved.